I first read this book as a young man and I thought it was a fantastic, African thriller still largely rooted in traditional life, customs etc – and I still feel this is an excellent work. 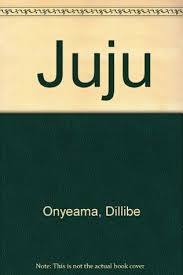 In this book, we are introduced into the world of “juju” (widely if crudely often interpreted as ‘black magic’) At the end, all the superstition, strange goings-on are explained. But make no mistake about it – the whole plot, ambience is permeated by juju (voodoo), including a frightening infestation of ants and termites. Yet contrasted with the world of ‘evil juju’ here – is also symbolism of good, but this ‘good’ is also suffused with esoteric knowledge, clairvoyance, telepathy etc. The pertinent old “Pa” man here comes across as a very good sagacious man who overstretches himself whilst helping the beleaguered young ones. We see village life delineated, and encroachments on the city too…and as this work tapers to an end we are stunningly struck with the selfless sacrifice of the all-knowing Pa ...this after he has explained all the weird ‘juju’ goings on.